I had the privilege of designing for and being a part of my best friend's wedding. Because she is an awesome, chill individual—she let me have creative free reign over the project. 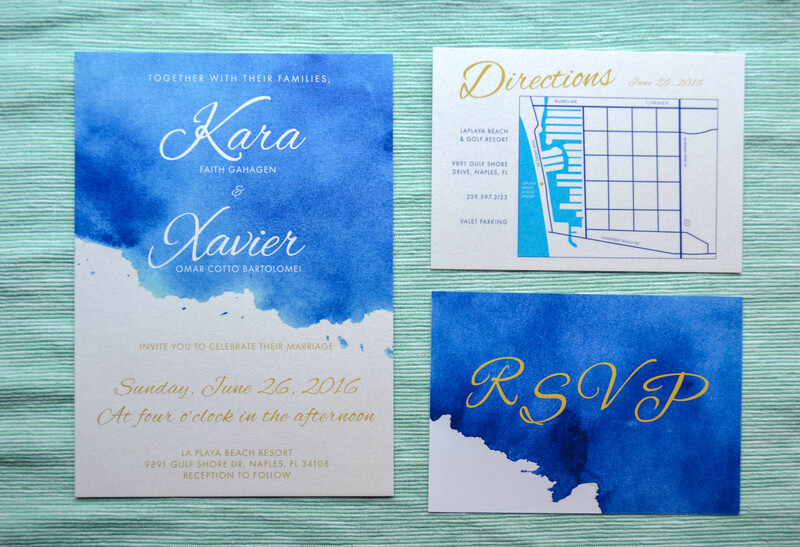 We both share a love of watercolor and the color blue, which I paired with some gold-inspired script/serif typography. 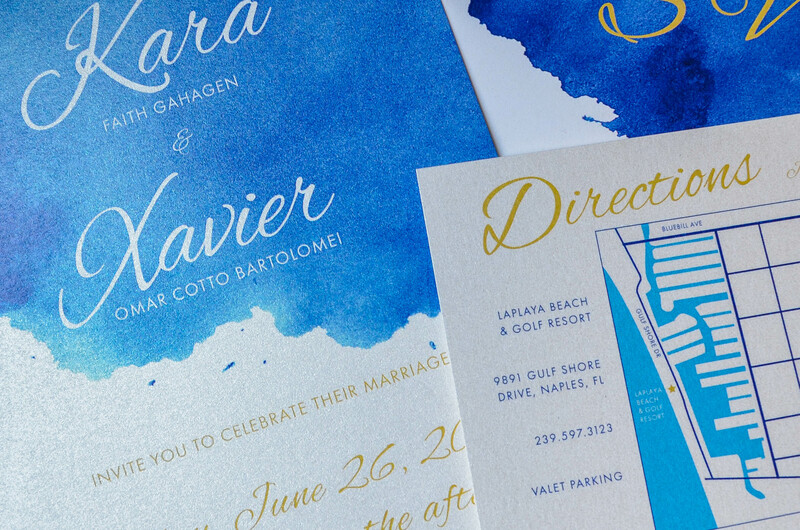 I had a lot of fun playing with textures and fonts on this project, and was so happy to be a part of my amazing friend's wedding!